The roofing material you choose to use on your home can augment and even define your home’s efficiency and style. It is a decision you want to make correctly. In this article, we give you a list of viable roofing options and a summary of the things you should know when choosing a roofing material. Different roof materials vary in weight, and engineers consider these loads when doing your home’s structural calculations. When doing remodels or roof replacements, you may incur significant costs if the weight of your replacement material is greater than the material being replaced. Also, while some materials for roofing in Evergreen Park, IL work on their own, some heavier materials require an additional infrastructure prior to installation. Although some materials offer benefits relating to different climates, all types of materials are ultimately capable of doing the job. This is how style seals the deal. For instance, you may want clay roof tiles for your authentic Tuscan home when concrete roof tiles can actually provide a similar appeal while providing better value. Today’s homeowners have more options than ever, and by educating yourself, you can make a selection that will benefit you in the long run. 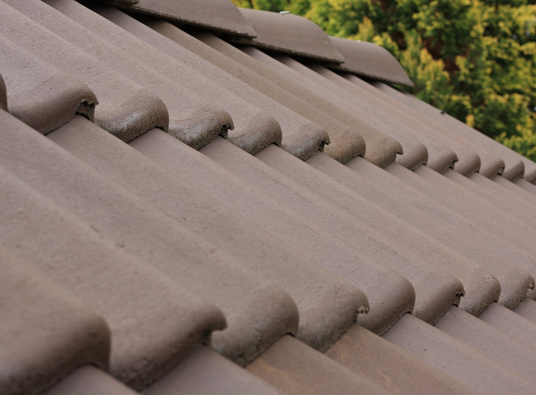 Here are some roofing materials and their characteristics. Concrete Tiles – The characteristics of this material are similar to those of clay tiles. They are preferred for their durability and versatility, as these can replicate the look of slate, clay, and shake at significantly lower cost. Asphalt or ‘Composition’ Roofs – This material covers a majority of homes in the US because it is a relatively inexpensive option that’s easy to install. Manufactured in a variety of colors and styles, it is easy to find the kind that matches your windows in Hammond IN and blend it into any architectural design. Wood Shingles and Shakes – This material is easy to work with and is popular among owners of older homes. It is known for providing insulation value to the home. These are just some of the roofing materials available to you. If you still need help picking the right material for your home, get in touch with the experts from Rogers Roofing. We install the kind of roofing systems that stand the test of time, harsh weather conditions, and the elements. Let us help you choose the material that complements your home, budget, and lifestyle. Contact us by completing our contact form today.